Winners for this giveaway will be posted next week when I have a better internet connection. This means there is more time for you to enter if you haven't already! 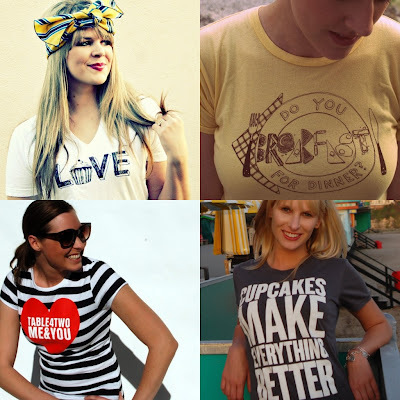 "Super soft t-shirts that share a love for cupcakes, conversation, and delicious design." How can you go wrong with a slogan like that? Dressing on the Side T-shirts is a sweet handmade company that makes quirky, silly, and unique t-shirts that make you giggle and when you get one, they leave you wanting more. I love that they celebrate cupcakes & the sweet things in life, along with the fact that they make limited quantities of each t-shirt. I don't like wearing the same thing as someone..ever..so I love that everything is limited edition! 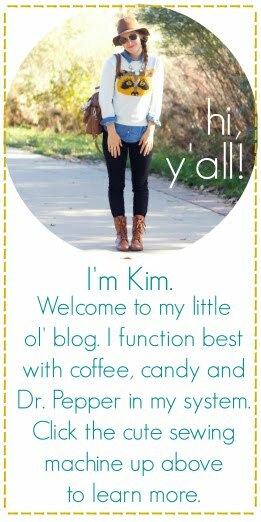 Today, Dressing on the Side & I have two make that THREE exciting things to offer you! 1. DOTS is offering a reader any t-shirt of their choice. 2. DOTS is offering ANOTHER reader any t-shirt of their choice! 3. 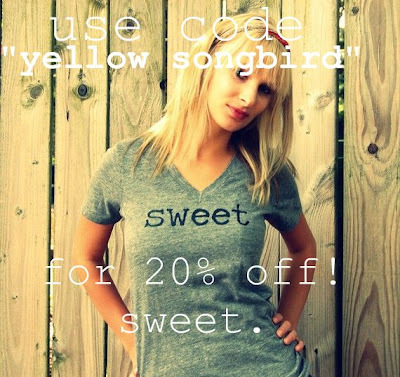 DOTS is offering Yellow Songbird Readers 20% OFF your purchase with the code "yellowsongbird"
A "tee" for two AND a mega discount code. Can I get a holla?! I like the terms of endearment shirt! My favorite is the Cupcake one! I love cupcakes in any form!! I follow Yellow Songbird on FB! I follow Yellow Songbird via Google Friend connect! I love the honey cupcake shirt. 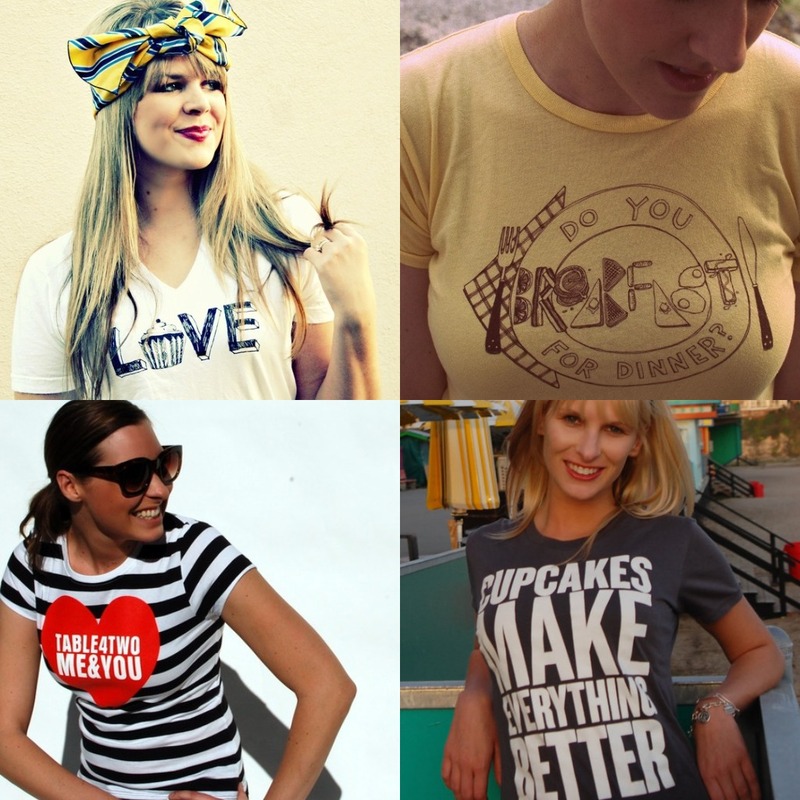 love the "LOVE cupcake" vneck tee! i adore the cupcake queen shirt! My favorite shirt is cupcakes are cool!!! I follow your blog. My email is BrittanyPonvelle@gmail.com. I follow DOTS on fb! I tweeted about this giveaway @BabyDeary. I would get the breakfast for dinner tee. I am a big fan of breakfast foods, basically any time of day. I'm going to go make some eggs and toast now. I like the LOVE Cupcake V-Neck. So cute! My favorite tee is "Morning Buzz"! I follow Dressing on the Side and Oh Sweet Joy on twitter! And I tweeted about the giveaway! :) I'm cindy2291! my favourite is the "Cupcakes make everything better"
Of course I follow you on GFC! Thanks for introducing me to such a cute shop!!! yay! fingers crossed I win! But I also hope you get a great turnout. I follow Yellow Songbird & thanks for the giveaway! That sweet as pie tee is just too cute! What a great giveaway! I love the "all you need is love tank"! I like Dressing on the Side on Facebook! i like the "sweet" and "toast" v-necks! I LOVE the toast one! i love toast. I love the "LOVE is all you need" tee! Too cute! i love the "cupcakes make everything better" tee!!! stalking you via GFC, fraaaand! following you both on twitter!!! I love the Cupcake Queen shirt! I like DotS on FB. cupcakes make everything better! so true and so a shirt i'd love to have! love love the DO VEGETARIANS EAT ANIMAL CRACKERS?? i love the v neck Love one that has the cupcake as the o! I liked dressing on the side on facebook too!! the guess who's coming to dinner shirt is so cute! fo real! Love the CUPCAKE QUEEN shirt the most! I'm craving the LOVE racerback! I love the "toast" one as well as the "you are what you eat" one! I liked Dressing on the Side T-shirts on Facebook. I follow you via GFC and I LOVE it. I follow you both on twitter and you have been my BEST twitter friend as of recent. I happily LIKED DOTS on FB! And I nabbed your tweet tweet to share! i follow dressing on the side & oh sweet joy on twitter! The "love cupcake" v-neck is my favorite. Very cute store! Great giveaway! My favorite DOTS shirt is Cupcakes are Cool tee. Thanks! big DOTS fan. coveting "you are what you eat". you are!!! I love the Cupcakes are Cool tee- but it would be a tough choice! So much cute stuff! the cupcake t-shirts are adorable. I love the mens in search of the perfect burger shirt. i love the guess whos coming to dinner...so cute! I love the breakfast for dinner shirt because I LOVE having breakfast for dinner!! When I was at uni, I ate breakfast for dinner all the time.. bacon & eggs = happiness! My favorite is definitely the LOVE cupcake vneck. So cute! I "like" Dressing on the Side on facebook. I follow you on google friend connect. Duh. Love the Guess Who's Coming To Dinner tee! I follow DOTS on Facebook!! !